We envision a Bolinas with sufficient affordable housing, a robust school, and a vibrant community full of life and opportunity. Like many communities around the world we are facing a housing crisis here in Bolinas, over the last 10 years our fulltime resident population has dropped dramatically due to the rising price of living and home costs. This has effected our school, our businesses and the general atmosphere of our community. The Bolinas Community Land Trust strives to create more balance and keep Bolinas thriving as a small town with a vibrant local community. The Bolinas Community Land Trust was formed in 1982 with the goal of providing affordable housing for Bolinas. In 2000, we purchased the historic Gibson House at 20 Wharf Rd, and in 2004, the we purchased the Bolinas Garage & gas station at 6 Wharf Rd; adding commercial spaces and live/work studios to our list of properties. We currently have a number of new projects in the pipeline. 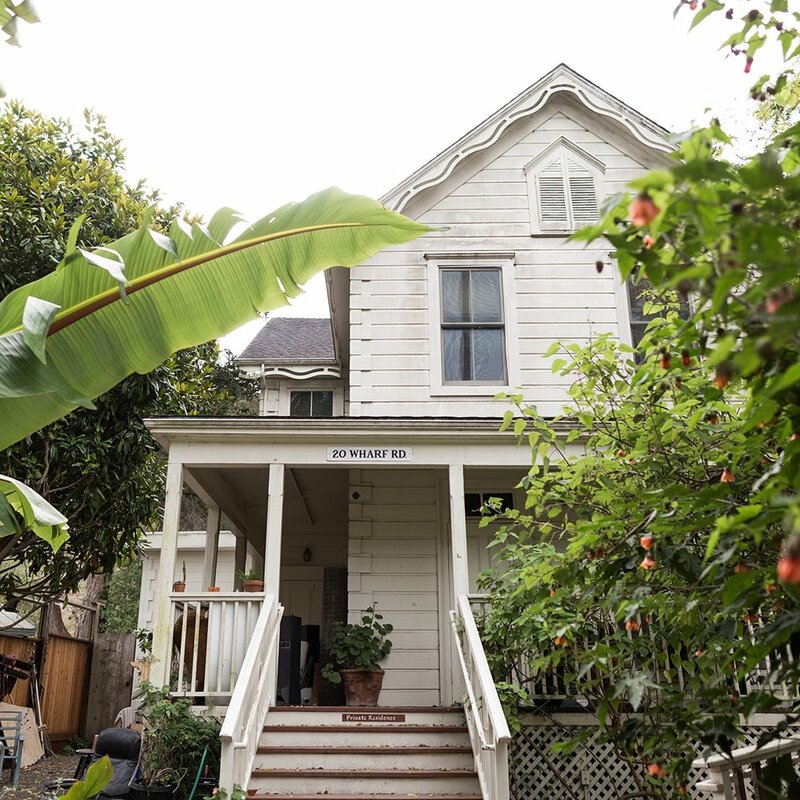 The historic Gibson house, formerly a restaurant and bar, then the Bolinas Bakery, now houses nine people. This building has five communal living units and two studios. We provide critical fuel and automotive supplies to residents, visitors and emergency responders. There are eight dwellings housing 16 people in various configurations ranging from communal living units, live/work studios and three-bedroom family units. There are also three commercial spaces as well the Bo Gas station / office and the BCLT office. Board Member for BCLT since 2004 and president for 8+ years. If you’re interested in learning more about joining our Board, a Working Committee or an Advisory Committee, please email us to find out how.